If you exercise regularly, you should see workout results, right? Unfortunately, it isn’t that easy. As I’m sure you’ve experienced, running on a treadmill and doing some sit-ups doesn’t deliver that flat stomach that it’s supposed to, just like lifting weights doesn’t immediately provide the ripped physique you may have thought it would. Not seeing results may lead you to believe that your workout is not working, and the truth is that it probably isn’t. But you’re not alone because most people don’t know how to work out, similarly to the way most don’t know how to fix a car. By setting a goal for your body, learning the correct way to exercise to achieve it, and keeping track of your macronutrients, you can experience continued results from your exercise. Getting “Toned”: There is No Such Thing! There are common mistakes people make while working out. One of the biggest is following an exercise program that does not match your goal. Depending on whether you want to get more muscular, less fat, stronger, bigger, or build more endurance, your training style will be different. Deciding what you want to accomplish can help you build a program to get there. We’ll look at proper programming to reach your goals shortly. Exercise can also stop working if you’ve been doing the same program for months (or years) on end. For example, the workout you got in your high school gym class won’t cut it at 40. And although you may have been making progress in the beginning, things can come to a halt as the body adapts. Keeping your routine fresh and adding new variables is essential to getting the most results from your workouts. I’ll begin with a disclaimer: You cannot tone muscles. I don’t care what the marketers of fitness products say—it just doesn’t happen. Many people, and mostly women, will say that they don’t want to get “too big” from working out, but rather want a “toned” look. The reality is that unless you have extreme muscle-building genetics, which is very rare, you won’t get too big. Lifting weights and building muscle is essential to reaching a toned—or let’s say “defined”—look. Once some muscle has been built, shedding the layer(s) of fat that covers them will complete the look. In other words, spending hours on a treadmill every week and doing sit-ups won’t give you the look you’re going for! To get your desired exercise result, you want to be doing the proper workout. Results will vary based on your goals and how you’re training. Typically, people want to work on fat loss, muscle growth (shape), strength, or endurance. If your goal is to get stronger, selecting weights where you complete one to five repetitions (reps) per set is typically where you’ll be focused. The exercises performed are largely compound movements, meaning they will recruit various muscle groups. Some examples of compound movements are the squat, deadlift, and bench press. The low-volume, high-intensity (in regard to weight) approach stimulates the central nervous system to adapt to the heavy load. This is the style of training that most people want when they enter a gym. They want to lose fat, become more defined, and change their aesthetic. For this style of training, there will be a combination of compound and isolation movements (focusing on one specific muscle), and the rep ranges will increase to eight to 12 per set. Rest times decrease compared to strength training because your body should not need as much time to recover from the lighter weights. Endurance training uses higher rep ranges with minimal rest, typically 15-plus reps per set with rest periods in the 20- to 30-second range. Each form of exercise will lead to benefits in a given area, and all will contribute to a faster metabolism, which can lead to fat loss. The more muscle a person has, the faster their metabolism runs. And depending on food choices and caloric intake, it can result in less body fat. It’s important to note that, regardless of your goals, your body will adapt at some point. Therefore, it’s recommended to emphasize each training approach every four to five weeks. For instance, if your goal is to get leaner and build muscle to add shape to your body, it would be worthwhile to start with a strength-training phase to build some strength. Continue this phase for four weeks before moving on to a hypertrophy phase for four to six weeks. Follow up with an endurance phase before going back to hypertrophy. For long-term results, variables are essential to provide new stimulus to the body. Generally speaking, a 12- to 16-week exercise program would take you through each of these formulas, emphasizing the ultimate goal. 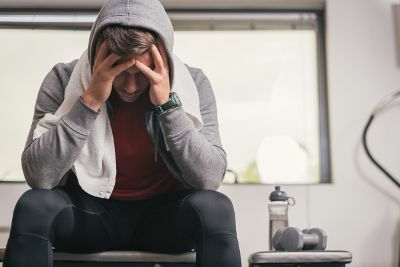 You might have been going to the gym for the last three years and just going through the motions, which can be effective if your goal is to burn some calories. But if you want some noticeable changes, you will have to provide the proper stimulus for adaptation to take place. Strength training: The goal is to elicit central nervous system adaptations by putting your whole body under tension with heavy weights. Muscle building: To build muscle size, frequency is essential. It takes your body less time to recover from lifting heavy weights; therefore, training at a higher frequency with lower loads allows you to get back in the gym to stimulate growth. Endurance: This technique uses low resistance but lots of time under tension to effectively become more capable of repeating a movement, but not necessarily build muscle. For example, you might take 10,000 steps a day and not have muscular legs. Doing 25 squats will help build muscle and requires strength and energy that would make doing 10,000 a day possible! Keeping tension on the muscle is what allows it to respond with greater size or strength, so effective lifting is much more than moving some resistance from point A to point B. The goal should be—especially if training for hypertrophy—to keep the tension on the intended muscle, and keeping stress away from other muscles and joints. This means focusing on taking the muscle from its furthest point, the insertion, to where it attaches to the joint, the origin, and squeezing at the top of every rep. The goal of a bicep curl, for example, is not to swing the weight up, but to contract the bicep muscle by moving its insertion towards the origin in a calculated and controlled manner. The same approach should be taken to every muscle group in a hypertrophy program—squeezing the intended muscle. Programming is essential to results, and once you’ve decided what your goals are, it’s important to find the best way to organize your workouts. Some of the key factors to keep in mind are the workout and exercise frequency. Research has indicated that exercise frequency may be the best way to grow your muscle—provided you’ve got adequate nutrition. This would mean hitting muscle groups multiple times per week, spreading your sets throughout workouts. For example, your goal may be to hit about 20 sets of leg exercises per week. Instead of doing them all on one day, it would be more beneficial to do seven sets on Monday, seven on Wednesday, and six or seven more on Friday or Saturday. Increased frequency ensures that your muscle is challenged repeatedly, providing the best opportunity for response. It’s best to avoid training the same muscles on back-to-back days. Wait at least 48 hours before hitting them again so that they have some recovery time. One way to split up your workouts so that you’re hitting muscles more frequently is to perform full-body workouts. You could split workouts between your anterior and posterior chains, for example. Let’s say you want to work out with weights on four days per week using an anterior/posterior day focus. Your first gym day would focus on your anterior chain—the muscles on the front of your body—and use exercises targeting the quadriceps, pectorals, abdominals, biceps, and the front and side portions of your shoulder. The next day, you could move on to work on your posterior chain—the muscles at the back of your body—and perform movements to target your calves, hamstrings, glutes, back, the rear head of the deltoid (shoulder), and triceps. You could take a rest day the following day or get right back into an anterior chain workout. For days 3 and 4 of your workout routine, you could swap certain exercises. For example, do an incline press instead of flat bench, or any other exercise variations to hit the intended muscles in different ways. The above sample program, like any other, will be good to follow for about a month before your body begins to adapt. Other split options may include a push/pull/legs split, an upper body/lower body split, antagonistic muscle splits, and more. Change is best noticed through a progressive approach to exercise—continuing to implement new stimuli as you go. If the goal is hypertrophy and fat loss, you would start your program with relatively low volume, longer rest periods, fewer workouts, higher calories, and less cardio. Once you don’t see any physical changes or movement on the scale for a week or two, it’s time to make a change. This can include adding frequency, reducing rest times, adding a workout, doing more reps, including some cardio, or dropping calories. That said, be patient and take your time. You want to keep a few tricks up your sleeve, because if you start out with maximum effort and intensity, you’ll have nowhere to go during a plateau. It’s important to remember that your body doesn’t really want to change, and it’s a lot of work to get it to do so. The four or five hours you spend in the gym per week are helpful in stimulating change, but the majority of the work is actually done outside the gym. It took me a few years of lifting to figure that out, and therefore a few years of lifting before I began to see the changes I really wanted. Nutrition is essential to building muscle and losing fat. Eating protein, vegetables, and the right kind of fat helps build muscle, limit inflammation, repair tissue, and keep your body in an optimal state to grow. Using carbohydrates intelligently as a source of energy will also help build muscle, and their use can be altered when you enter a dieting phase. Generally speaking, carbohydrates are kept a little higher during a muscle-building phase, or for those who focus on strength and endurance, and reduced during periods when leanness is emphasized (commonly referred to as a “cutting phase” in a hypertrophy program). How much and what kinds of foods you should be eating will really vary based on individuals. As a general rule, if your goal is to build a lean physique, protein intake should come in around 0.7 to 1 gram per pound of lean body mass. This is ultimately something you’ll want to play with to see how you respond. Lastly, total intake is something you’ll want to focus on. If your goal is to get bigger and build muscle, you’ll want to be in a surplus, meaning you’re eating a little bit more calories per day than you’re spending. Start at maybe 200 to 250 more calories per day to see how your body responds—fat gain should be minimal, but expected. On the other hand, if you’re trying to lean out, you need to expend more calories than you’re consuming. This can be accomplished by reducing calories (by 150 to 250), increasing exercise frequency or intensity, and including more light/moderate cardio but not doing more than 30 to 40 minutes per day. If you want to achieve the body that you’ve never had, you’ll have to do something you’ve never done. Taking a measured, progressive approach to reaching your goals in the gym is the only way to achieve noticeable, sustainable workout results. Schoenfeld, B., et al., “Effects of Resistance Training Frequency on Measures of Muscle Hypertrophy: A Systematic Review and Meta-Analysis,” Sports Medicine, Nov. 2016; 46(11):1689-1697; DOI: 10.1007/s40279-016-0543-8; https://www.ncbi.nlm.nih.gov/pubmed/27102172, last accessed January 29, 2018.